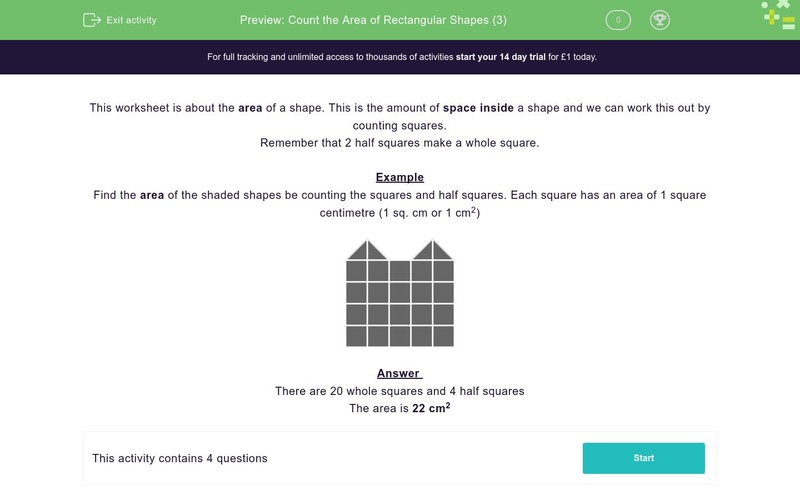 In this worksheet, students count squares and half squares to find the area of each 2D shape. This worksheet is about the area of a shape. This is the amount of space inside a shape and we can work this out by counting squares. Remember that 2 half squares make a whole square. Find the area of the shaded shape by counting the squares and half squares. Select the correct area in square centimetres below.